Soon after the announcement that the NYPD is investigating sexual misconduct allegations against Italian chicken meatball, restauranteur and TV personality Mario Batali, the Las Vegas Review-Journal reports that his Vegas strip restaurants B&B Ristorante, Otto, and CarneVino will close. The news comes on top of many allegations of harassment and misconduct, and a recent 60 Minutes episode in which he was accused of sexually assaulting an unconscious employee in a restaurant. These restaurants have continued to succeed, and they are a tribute to every one of you who works in them and brings great dining experiences to our guests...Unfortunately, our partner in these restaurants, Las Vegas Sands Corp., has decided to end our relationship. 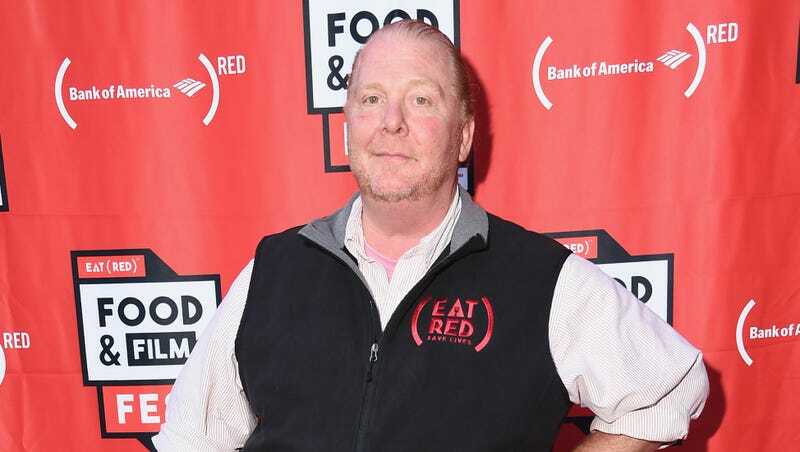 Earlier this week, B&B announced that it is in the process of buying out Batali, who stepped away from B&B operations in December 2017 and officially divested from his restaurants in April. His books disappeared from his restaurants, his products from Walmart, Target, and Eataly’s shelves, and his ABC show “The Chew” has been cancelled. B&B manages around two dozen restaurants, Eater has reported, including Eataly, Del Posto, Babbo, Otto, and Lupa. GrubStreet points out that B&B and co-owners have separately been mired in mismanagement battles, such as multi-million dollar lawsuits for wage violations, tip-skimming, and harassment. Bastianich estimates that nearly 300 employees will be affected.